The course is designed to provide an overview of mining and NEPA and is geared towards how tribes can participate in the NEPA process. Part 1 will educate participants on the major steps in mine development, exploration, types of hardrock mining, and mineral processing. Presenters will provide an engaging look into the world of hardrock mining. Participants will walk away with a basic understanding of the types of mining and gain a common language to communicate about mining in their geographic area of interest. Participants are encouraged to ask questions. You may be interested in the May 12 archive of Part 1 from this course on Mining Fundamentals, the May 24 archive of Part 2 on Mining Environmental Concerns and Issues and the June 8 archive of Part 3 on Regulatory Process & How the Public and Tribes can Engage. Cindi was born and raised in Michigan (4 out of 5 Great Lakes prefer Michigan!). She earned a Bachelor of Science in Mining Engineering from Michigan Technological University and a Master of Business Administration from Northern Kentucky University. She worked in the mining industry for six years before joining EPA. The last 25+ years have been spent in NPDES permits and compliance. She lived in Alaska for 19 years working primarily on mining permits. In 2014, she relocated to the Seattle office. Cindi is the senior NPDES permit writer in Region 10 and has been a member of the Regional Mining Team since its inception in 1995. Lorraine grew up in Oklahoma before going to Colorado College for a Bachelor's degree and to the University of Montana for an MS., both in Geology. She did mineral exploration for 10 years, with stints in Colorado, Utah, Nevada and Montana, and finishing up with six years in exploration camps and drilling camps in many remote locations in Alaska. 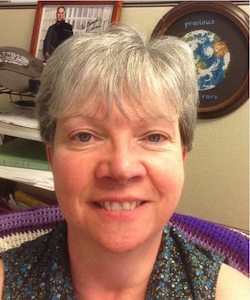 Since 1989, she has worked in EPA Region 10's Office of Environmental Assessment in Seattle. Her work there includes providing technical support to multiple programs—Superfund, EIS review, and other water and ground-water related projects. Patty McGrath has 30 years of mining experience; including seven years as a metallurgical engineer at the beginning of her career and 23 years in environmental regulation (19 years with EPA and 4 years in consulting and industry). 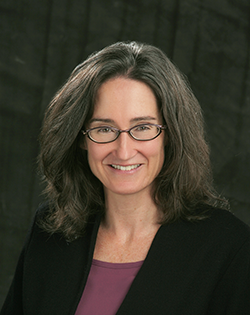 Patty has expertise in the application of the National Environmental Policy Act, Clean Water Act, and federal consultation laws (Endangered Species Act, National Historic Preservation Act) to mining projects (from exploration through closure) from both the regulatory agency and industry perspective. She has knowledge of and experience with State regulation of mining practices as well. While mine environmental review and permitting is her specialty, Patty also has experience on the cleanup side having managed and participated in teams evaluating and cleaning up sites under CERCLA. Her work has required extensive coordination with federal and state agencies, consultation with tribal governments, and communication with the public and stakeholders. During her time with EPA, Patty managed the EPA Region 10 Mining Team and co-lead EPA's National Mining Team and was involved in developing regional and national regulation and guidance. She is currently the permitting manager for Donlin Gold LLC..
Patty has a B.S. in Metallurgical Engineering from the Colorado School of Mines and an M.S. in Environmental Engineering from California Polytechnic State University. 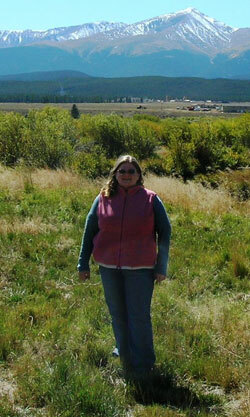 Lynn Hood is an Environmental Scientist with US EPA Region 10. Lynne has 15 years of experience reviewing NEPA documents for federal land management projects including mine proposals. Her background is in soil sciences with post-baccalaureate class work in geochemistry. She is passionate about educating the public, tribes, and stakeholders about effectively engaging in the NEPA process. She has provided trainings across the region to Tribes and others on NEPA and Mining and participated in international capacity building of environmental impact assessment. 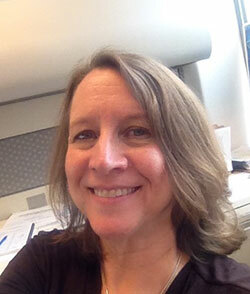 Michele Mahoney works on contaminated site remediation and reuse within EPA's Superfund program. She provides support to practitioners on the use of soil amendments for remediation and redevelopment/reuse, ecological revitalization, terrestrial carbon sequestration, and urban gardening. She also researches and compiles information on mining site remediation technology and land reuse, and manages content development for the EcoTools and Mining pages on CLU-IN.org. Michele recently led the development of a resource guide on treatment technologies for mining-influenced water. Michele has worked with EPA for over 14 years. 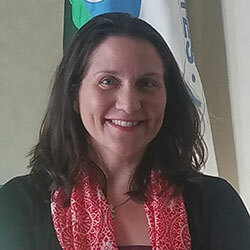 Prior to her current responsibilities, Michele served the Agency as the lead for food waste composting issues and as an environmental fate and ecological risk assessor for pesticide registration.